I have to thank the Kitchen Table Stamper in the US for the idea behind this little treat box. She has taken the Lots to Love Box Dies and turned them into a small box in a really easy way. Having fallen in love with the box, I knew this had to be the container for the gift I was going to send to everyone who shopped with me in February, so I trawled the shops and found the perfect sweet treat to go in them; and the colours work so well too. You will have to watch the video to see what it is. So the box is made with just one of the large die cuts from the set. Add a 1/16″ shim to the left side of your score board and then score at 2-1/4 and 2-3/4″ (5.7 and 7cm) ,this will form the base of your mini box. All the other details are on the video. 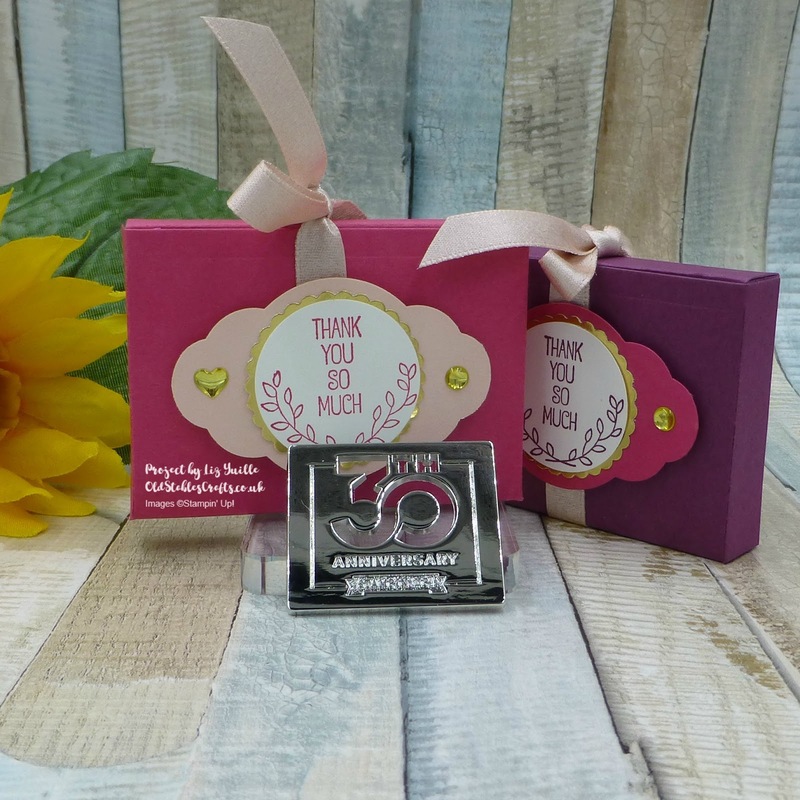 The ‘Thank You So Much’ sentiment from A Good Day is perfect for customer gifts, and a little bit of bling with the Gold Foil and Gold Metallic Enamel Shapes dresses the box up just enough. Add a bit of ribbon and you are done. I hope my customers enjoy the box and the contents. I certainly had a great time making them while watching a bit of TV. 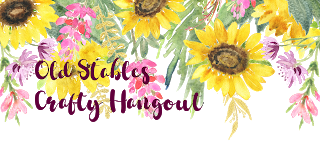 Just a quick reminder that if you want to join in some Crafty Fun, sharing all sorts of crafty ideas with other likeminded people, please feel free to join The Old Stables Crafty Hangout Facebook Group. Just click on the graphic and request to join. I hope this will become a place for all kinds of crafty chat and inspiration.